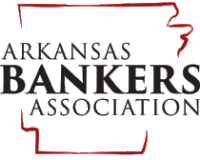 The Board of Directors for Economics Arkansas is a liaison of statewide leaders representing the business, education, agriculture and government sectors. The board members are elected to a three-year term and are dedicated to promoting and supporting economic education in Arkansas. In celebration of our 50th anniversary on 2012, Economics Arkansas started recognizing individuals who have served on the board for 25 years or longer as Lifetime Board Members. Currently, there are 10 Lifetime Board Members.